I’d like to start out by saying what an epic weekend! 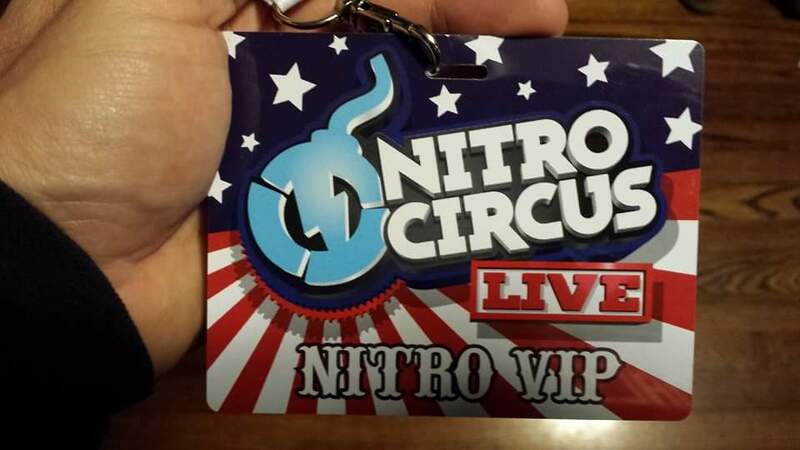 Any weekend with jet skiing and nitro circus would be an epic weekend though. Now that winter is upon us, with snowboarding season right around the corner, another jet ski season passes, and the 2015 season wrap up weekend has come and gone. Friday night meet up with Gary Burtka began the weekend. We met up for little bit of brother time wrenching and tweaking in, on the skis. 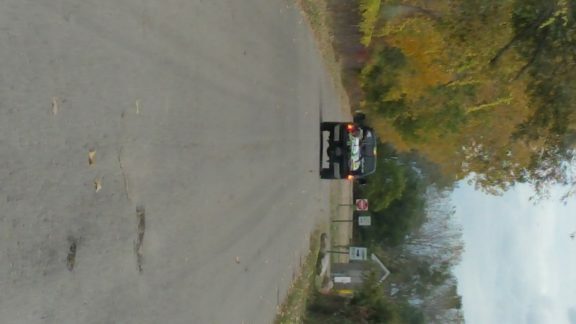 After having everything dialed in there was an attempt made to grab some much needed rest. Saturday was a real treat for us, as we woke up to 36° weather. However, the cold weather did not stop us. Brother and I loaded the jet skis up into the truck and jeep and began our descent to meet up with the rest of our group at Lake Erie Metro park,(to some aka the hot spot or hot hole). 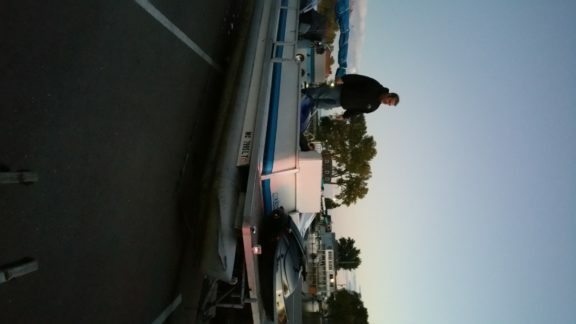 As we pulled up at the launch, our group was bundled up in winter jackets loading up jet skis onto a pontoon boat. The riders in the group that we met up with consisted of Devin Hoover, Ed McDiarmid, David Evans, and Devin Hughes. 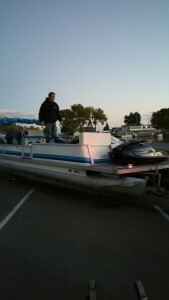 Once the 5 jet skis were strategically placed on the boat, it was then launched into the water. 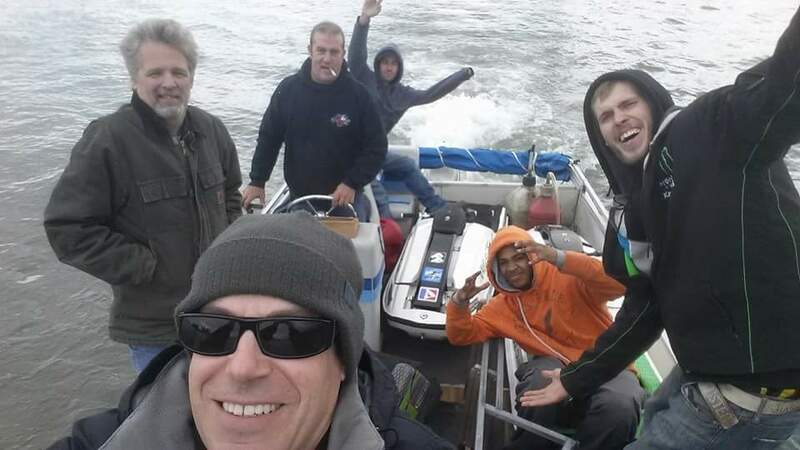 Already having 5 jet skis on the miniature pontoon, 6 full grown men climbed aboard and we began our journey traveling through Lake Erie on our nearly sinking pontoon to the Hotspot. The entire trip on the pontoon to the Hotspot, the joke was, one Wave was going to take out our entire crew. For every negative comment about sinking that was made, Devin Hoover, with a very concerned look, came back with a “stop it we’re going to make it!” And oddly enough, make it we did. On this high of a 40 degree day we traveled across the shores of Lake Erie with 5 jet skis and 6 grown men to jet ski in the hot spot. When we arrived, we beached the pontoon and instantly began building a fire on the beach to set up camp. The fire was a pleasant added touch, but the smartest thing we did was gear up and get in the 70 degree water as opposed to the 40 degree air. With the skis unloaded on the beach, all geared up, Gary Burtka broke the ice by going out there first and began throwing huge backflips, and huge one handed backflips which in turn scared all the fishermen away. I then followed with the Backie Chan demo ski, throwing out some inverts and some powers 360s to the right and to the left. Devin Hoover also joined in on the fun with his old style superjet by going out and throwing some power slides, bulldogs, subs and even a couple fountains. David Evans also jumped in the water and began riding on an old school X2 he had brought with him. We rode around for a few hours switching back and forth between skis. It was nice to see new riders jump right on the Backie Chan demo ski and enjoy riding it around without any problems, with no issues handling the ski, or any trouble staying balanced. Watching Gary Burtka throw out some old school X 2 freestyle for entertainment on a stock X2 that was not his was a pretty awesome addition to the trip, it was a nice extra for entertainment brother. The worst thing about the entire day was the freezing cold trip back. Even though extra dry clothes were packed and I had a blanket, the wind was still very brutal. I did fair the best out of anyone because of the blanket, it is an added must to any cold water/ cold air trip. What an incredible experience jet skiing in the hot spot for my first time. 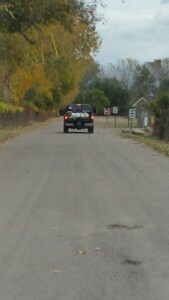 Can’t wait to make it a yearly tradition to cap off the end of the riding season. Next time I’ll have a better plan formulated and will follow a guided checklist of things that are needed for cold water riding. 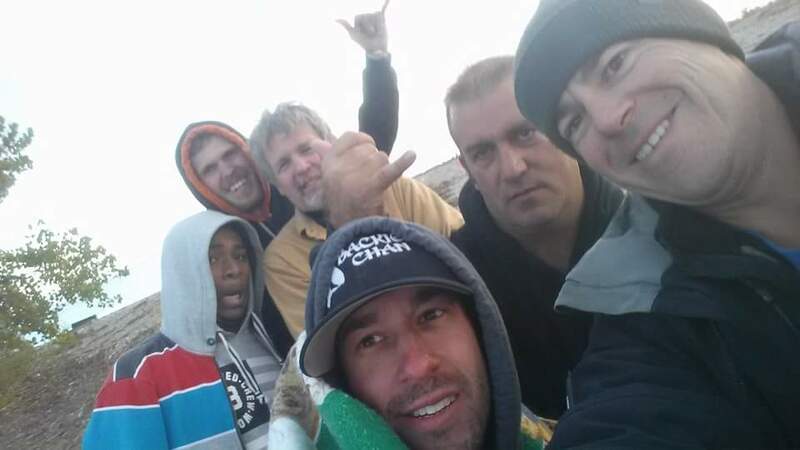 After Saturday’s epic near winter cold water ride, the adrenaline was built up for us at Twangled to see Sunday’s epic show that was booked all the way back in March. The show that we bought tickets for far in advance was Travis Pastrana and Nitro Circus featuring action sports athletes at Joe Louis Arena including Streetbike Tommy, Blake ‘Bilko’ Williams, Aaron ‘Wheelz’ Fotheringham, Ryan Williams, Josh Sheehan, James Foster, Cam Sinclair, Jarryd Mcneil, and many other phenomenal action sports athletes. 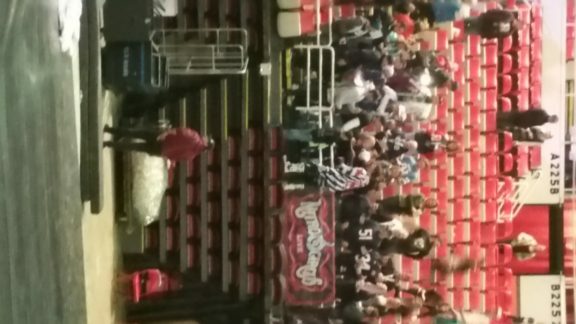 The seats brother purchased were in VIP, and as VIP ticket holders we were able to catch all the pre-show practice, which was extremely fun to see. 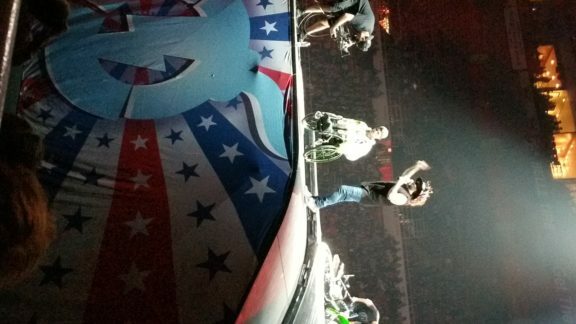 It is hard to even describe how awesome that show was in words. There’s so much trick after trick action going on in your face constantly from the moment you sit down until the moment you leave. Starting off at practice, to the main show, to pulling random people out of the crowd to have them do a trick with the show performers. All of it was incredible! Watching Bruce Cook pull off a backflip with his specially made FMX bike for the first time after his dou ble front flip crash that crushed his spine in 2014 was an incredible moment. 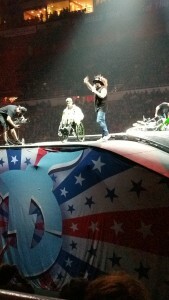 To watch Bruce Cook overco me adversity and fear to yet accomplish another flip on a custom made FMX was inspiring. 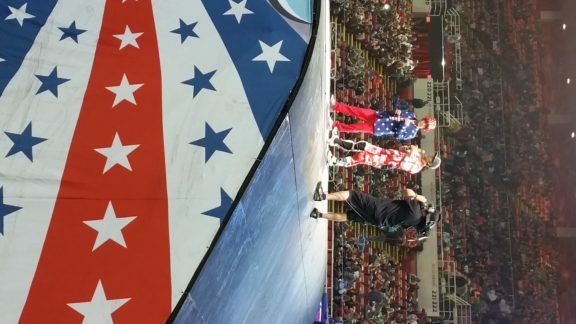 The other incredible thing that happened on the night at Nitro Circus was the first 4 person on 1 FMX back-flip to ever be landed in the United States. 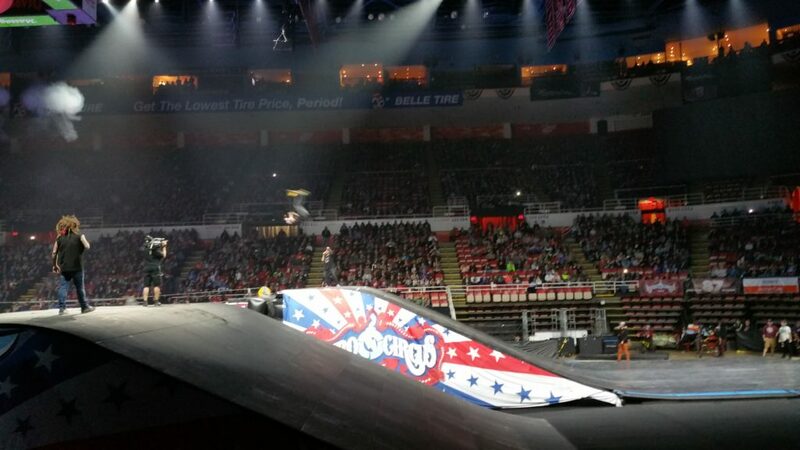 Watching the first four person back-flip land in North America, in Detroit at Joe Louis Arena none the less, was amazing to see live. 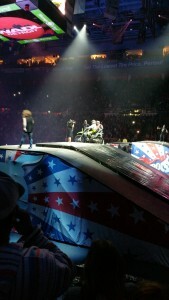 I just wish I would have been chosen to be one of the three others on the motocross bike to do the flip. 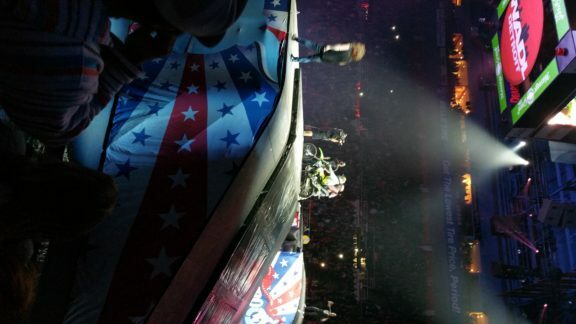 One of the best parts of the night that I will never forget was watching Travis Pastrana continuously jump up into the crowd all over the stadium as the crowd dispersed at the end of the show, and didn’t stop until everyone was gone. All performers can learn something from this type of attitude. 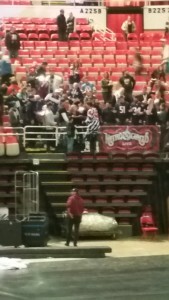 It was great to watch the people’s reaction in front of me when Travis Pastrana jumped up and they grabbed a quick selfie. 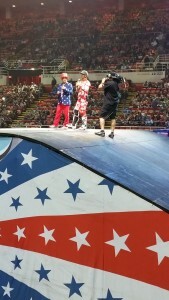 The show had great energy, Travis Pastrana was a great entertainer. 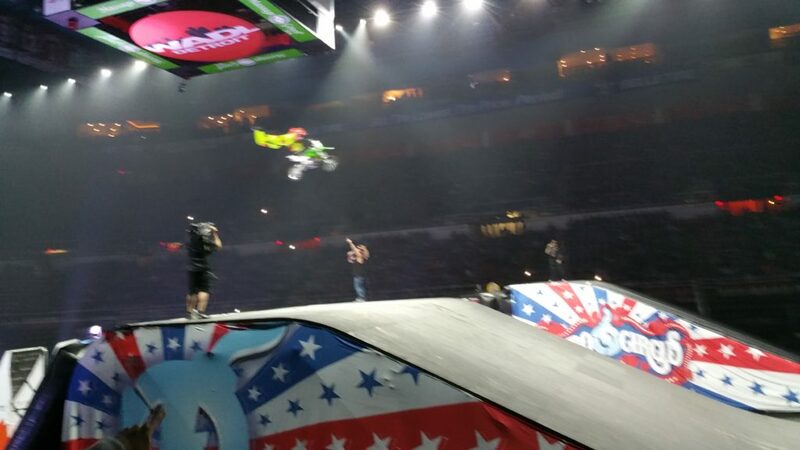 The action sports athletes/performers entertained wonderfully, landing trick after trick. I would recommend this show for any person of any age range. I also plan on attending this show again when it comes back around to the Midwest. 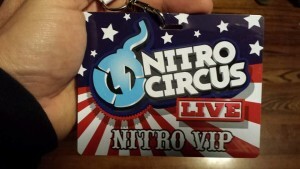 After having been to a nitro circus show, I definitely want to add that to the yearly tradition as well. With the 2015 season closed, it is now time to begin preparation for the 2016 season, starting as soon as January!